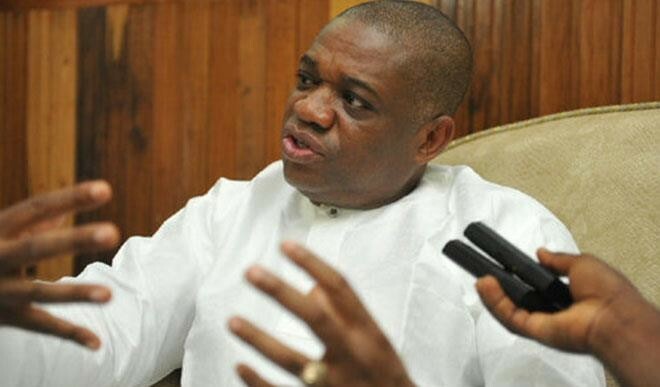 Orji Kalu, former Abia State Governor, has called on President Mohammadu Buhari to arrest and prosecute ex-President, Olusegun Obasanjo to prove his seriousness in his fight against corruption. He gave the call while speaking at the quarterly public lecture series of the National Institute for Cultural Orientation (NICO) in Abuja. The All Progressives Congress, APC, chieftain said Buhari should be bold enough to prove that he has what it takes to salvage Nigeria from bad governance by arresting Obasanjo. Kalu said Obasanjo should be arrested for alleged missing fund meant for power during his regime. “I have recovered peoples’ money and given them back. I am a creator of wealth at every level. If any court finds me to be corrupt , it should jail me. Corruption is the bane of this country. “President Buhari has got some guts but he should arrest Obasanjo for us to know that corruption is working.